Don't want to walk around with your luggage all day? At AmsterdamStay we can reccomend some city centre luggage storage service. Get the most out of your stay in Amsterdam and let us handle your luggage problem. When you book a place with us we can reccomend some luggage drop-off point and at a small extra charge a pick-up and delivery service. You can find luggage facility at the Train station. What is worse than dragging heavy luggage around a city is having to pay for overpriced storage facilities. We will save you the hassle of trying to locate your holiday accommodation on your own, carrying heavy bags or waiting outside your apartment for check in. Simply you can store your luggage at the Train Station. 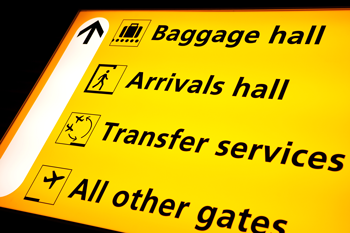 Upon request we can arrange transport to your accommodation and transfer your luggage. Booking a taxi through us saves our guests up to 20% off standard services. Likewise, when ready to leave, you can also use the lugage storage lockers at central station. We are all too familiar with inconvenient hotel regulations. Often if you have to check out in the morning or at lunch time and your flight is scheduled for a later time during the day you are stuck with your heavy luggage and have to drag it throughout the city for a last chance at sightseeing. This is so inconvenient, tiresome and unsafe that it can be a real nuisance. When there is a big gap between your check-out and flight times you can simply drop off your luggage and make the most of the time you have left in Amsterdam. Enjoy!